Gov. Tom Corbett selects City Councilman Bill Green to chair the SRC and Farah Jimenez to replace the SRC’s outgoing commissioner — but a last minute venue change leaves students out in the cold. 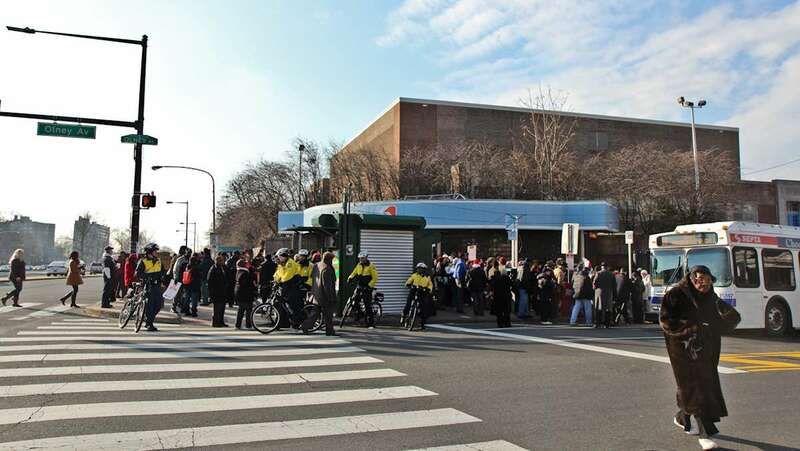 On a frigid January morning nearly halfway through a school year marked by draconian cuts to services and staff, Gov. Tom Corbett — plagued by a low approval rating and an impending November election — braved the eastbound lanes of the Turnpike to make his first gubernatorial appearance at a Philadelphia traditional public school. At least that’s the way it was written up in the playbook. 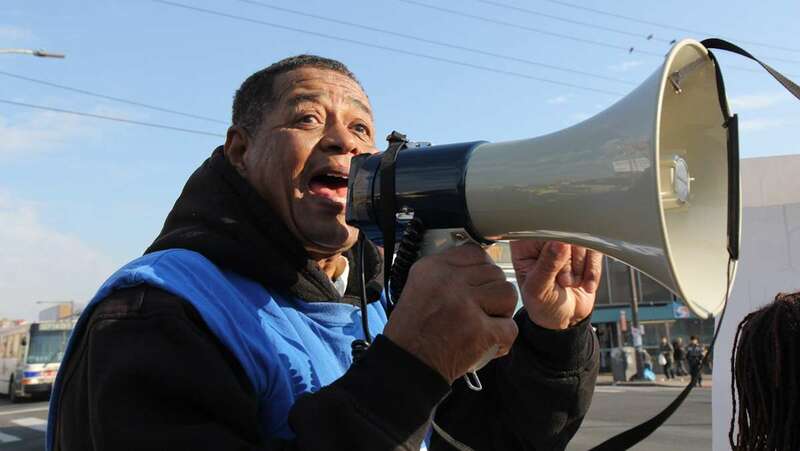 Corbett selected Philadelphia City Councilman Bill Green to chair the SRC and Farah Jimenez, leader of West Philadelphia’s People’s Emergency Center, to replace outgoing commissioner Joseph Dworetzky. Green will fill the spot left vacant when Pedro Ramos resigned in October. 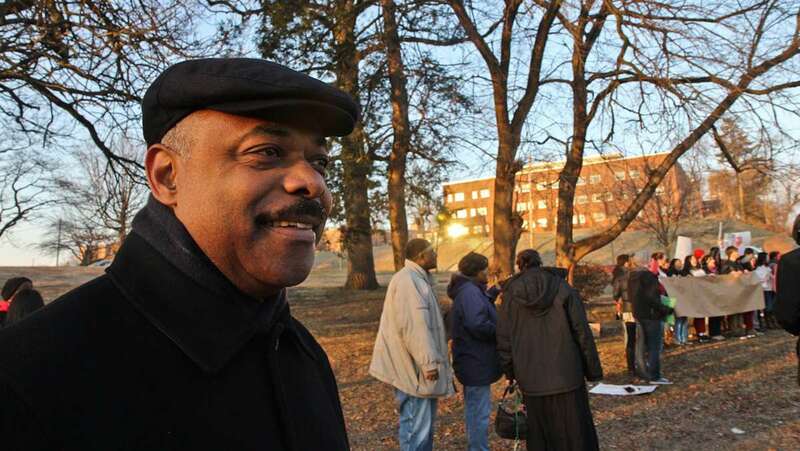 Of Green, Corbett told reporters that “he has a long history of public involvement, holding fast to the idea that public involvement, public service is an honorable calling … it must always be for doing what’s best for the people.” Listen here for an extended interview with Bill Green. 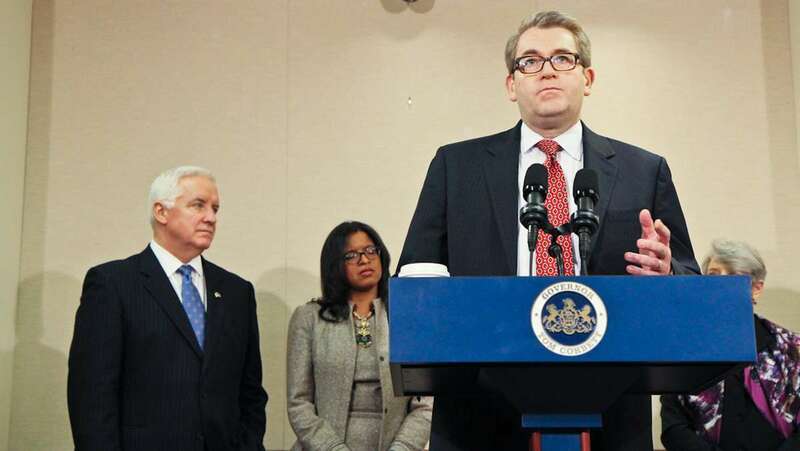 Before assuming the SRC posts, Green and Jimenez will need the approval of Pennsylvania’s Senate. Although he didn’t want to discuss specifics until conferencing with Superintendent Hite, Green confirmed that his tenure as SRC chair would reflect the philosophy of the education-related position papers he’s published in recent years. 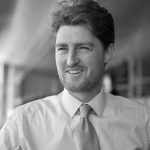 In those, he imagines a Philadelphia’s system of public education that’s much more friendly to charter schools and much less so to teachers unions. Reactions were mixed to Corbett’s appointments. Philadelphia Mayor Michael Nutter described Corbett’s selection of Green as perplexing. The originally-intended business of Corbett’s trip was to join students and faculty at Central High School to celebrate the academic achievements of three of the district’s top-performing schools — Central, J.R. Masterman and G.W. Carver. In anticipation of organized protests, Corbett cancelled the event. “I’ve decided not to engage in the theatrics designed by adults,” he said. 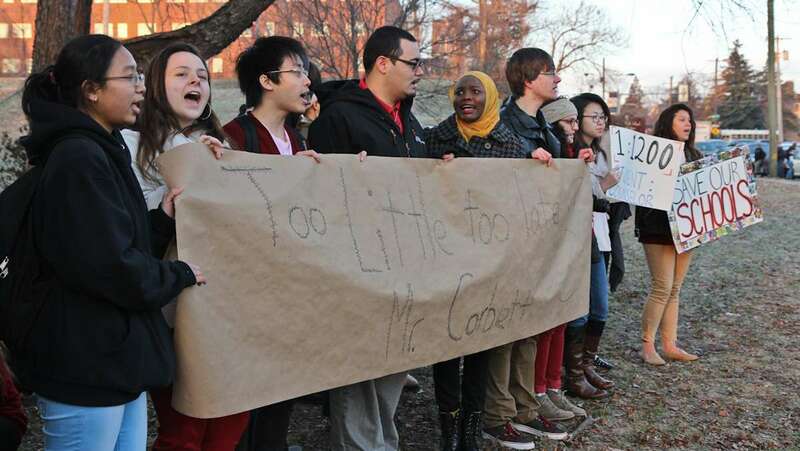 Instead of interacting directly with students, Corbett, alongside acting state education Secretary Carolyn Dumaresq, entrusted banners of academic achievement that were to be presented to students to Philadelphia School Superintendent William Hite. Hite agreed with Corbett’s rationale. “What we’re trying to do is celebrate the achievements of the schools and the students and the conversations about what the governor does or does not do should occur somewhere else,” Hite said. Central senior Ashumah Moug, who helped organize the gathering using social media, wrote a “Declaration of Student Rights” that lambasted the governor for failing, in her eyes, to fund all Pennsylvania schools equitably. Moug considers herself a poet, and says the “declaration” followed months of contemplating the state of the city’s schools. The staff at Central joined in critiquing Corbett. In an open letter released Thursday, staff members wrote to “express discomfort” with the governor’s visit. Helen Gym of Parents United for Public Education circulated a graph using district data that compared the resources currently in place at Central, Masterman and Carver with those existing before Corbett’s first education budget took effect. 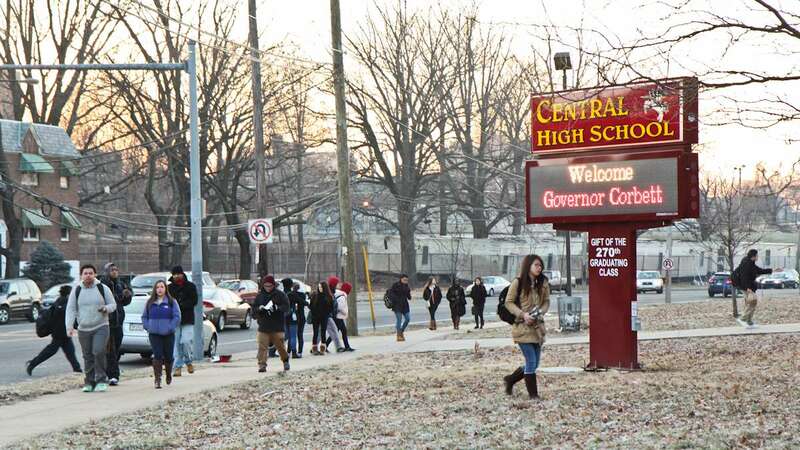 Among other resources, Central’s 2,400 students lost 33 full-time staffers, six guidance counselors, four secretaries and $83,000 in funding for books and supplies. Losses for Masterman’s 1,200 students and Carver’s 697 were just as severe. Central High senior Dalya Hahan dreams of attending Yale, but fears her school’s lack of resources has hurt her chances. Budget cuts have left Central just two counselors for 2,400 students, almost 600 of them college-bound seniors. Central sophomore Ana DeLuca-Mayne viewed Corbett’s planned visit as a tool of political calculation. 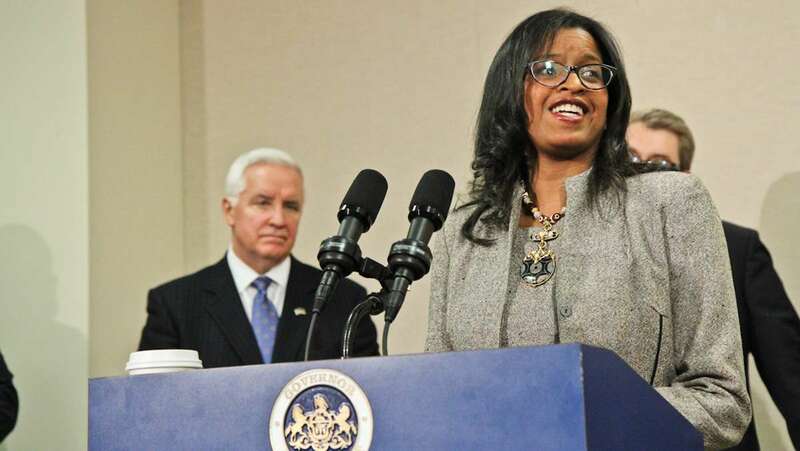 “I find it messed up that Corbett’s coming here to kind of use us to say that he did something right, when its really up to the teachers,” she said. Despite drastic cuts at Central, the esteemed magnet school has a large, generous alumni base that often helps fund programs and resources above and beyond what the district can provide. This year, Central would not have a librarian for its recently built library if not for private philanthropy. 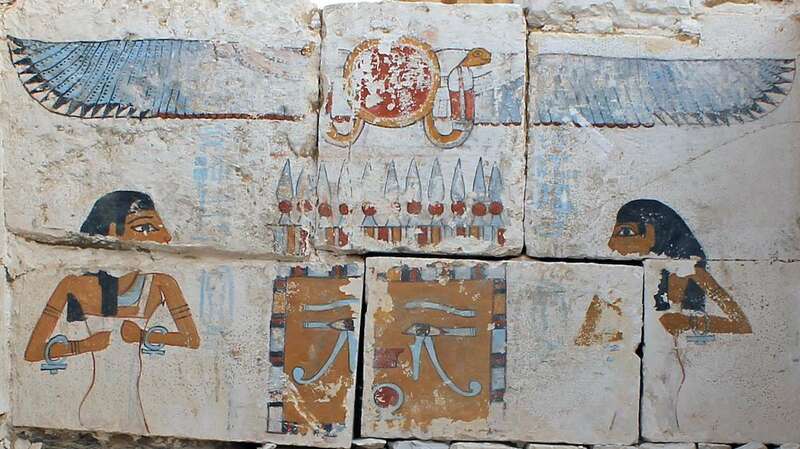 DeLuca-Mayne noted this point in her critique of Corbett’s planned visit. 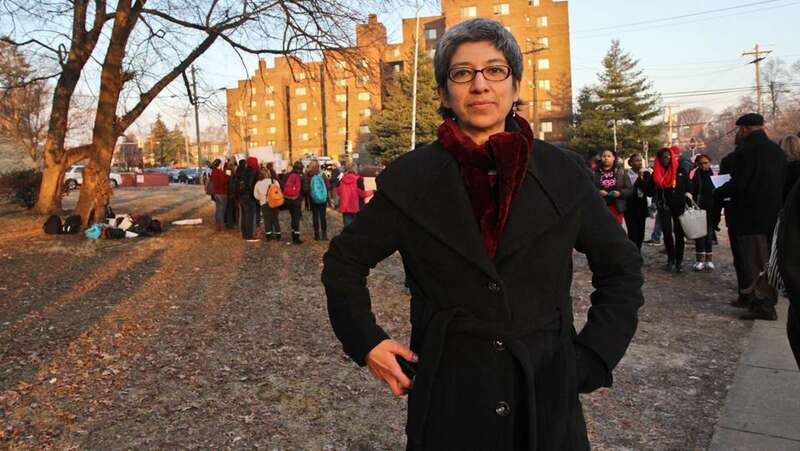 “One thing that I find really messed up is that he’s coming to Central High School to talk about how well the district’s doing, instead of going to one of the schools like Strawberry Mansion or South Philly High where his budget cuts affected even more,” she said. 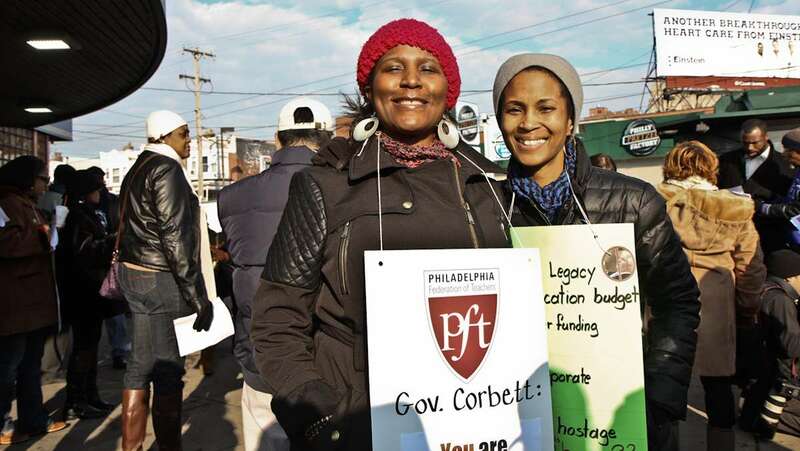 Later in the morning, the group of community activists and education advocates who gathered at the intersection of Broad and Olney, blared bullhorns and dressed in poster-board signs decrying Corbett’s fiscal priorities. Even after being told that the governor had changed his venue, the group blocked traffic on Ogantz Avenue in a much-less poignant march towards Central’s storied brick facade. 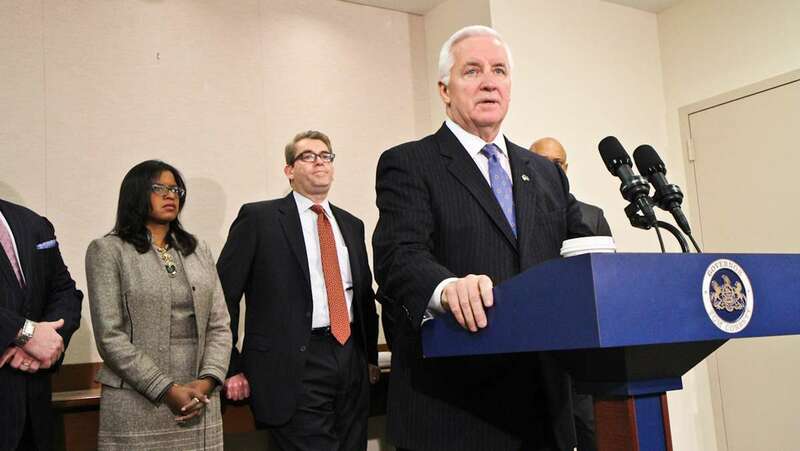 At the Chamber of Commerce, Corbett defended his education record. Corbett says his administration has boosted standards for both students and teachers so kids are better prepared for work, college and life. He counts among his achievements implementing the state’s School Performance Profile system for evaluating the state’s schools. Does he think that the state is delivering on its constitutional mandate to provide all students with a “thorough and efficient education”? 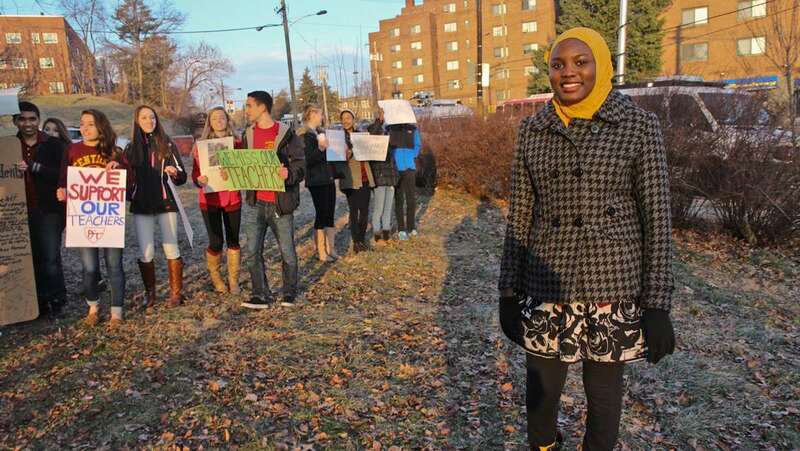 That rationale is not good enough for Central senior Dalya Hahan. She turns 18 on June 16th and plans to use her newly earned civic power to vote Allyson Schwartz into the governor’s chair. Of Corbett, though, she says she’s keeping an open mind.